Everywhere you look there are thousands of images depicting beautiful places in the world. How many times have you thought to yourself, “I wish I could travel so I could take the same photographs?” The reality is that most of those photos were taken by people who live close to the locations, or have the ability to travel there multiple times. It is a statement that you hear from many photographers. It may be true, but the truth is most of us live in wonderfully rich photographic areas. The problem is that you see it every day, so it no longer seems interesting. Knowing that a storm is coming, then being able to get to a good location quickly, is an advantage when you photograph near where you live. If another photographer was coming to your area and wanted to know places to go, what would you recommend? Think about what someone else might be interested in, that is a way you can photograph it. Try to look at your area from another point of view. There has to be something unique or different about where you are located. Look at the history of your town or area. See if you can find out about an event that happened where you can visit the place. Use the history as your motivation for photography. Google the area around you, and see what you can find. 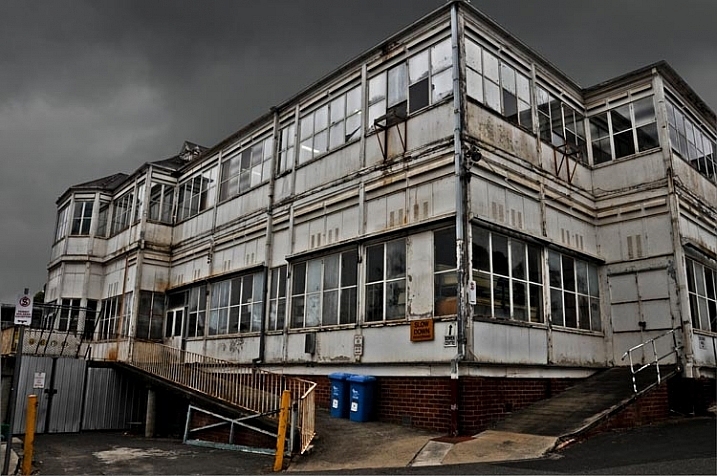 Think about interesting buildings, ones that are abandoned or still in use. There may be some interesting landmarks that can help tell a story. Perhaps there was an industry there that no longer exists. For example, suppose in your area the local hospital started as a home for incurables. Then the land was given to the city for a permanent hospital. How has that hospital shaped the town? Is the original hospital still there? Has the hospital gone, but now something else is in its place? There is always the possibility that nothing has ever happened. Maybe your location is devoid of that, and in which case you could photograph the normality of it. What makes it boring? What does the main street look like? Is there anything interesting there at all? There will always be something. An older part of the Austin Hospital in Heidelberg. Mark a circle on a map of where you would be willing to travel to in a day. For instance, you might be prepared to travel at least two hours to get somewhere. Perhaps time isn’t on your side, and you can only travel 15 minutes in any direction. That becomes your zone, and the area you are going to photograph. My area is two hours, or around that. I will travel somewhere for the day and take photos. I will go back to the same areas. There is a lot that is within that area near where I live. Perhaps instead of finding individual images of the place you might be better off trying to do a whole story on it. Find the story of the area. What makes it important to the people who live there? Why have they stayed? Why do you live there? The answers to all these questions will help you find the story, and can inform your photography. 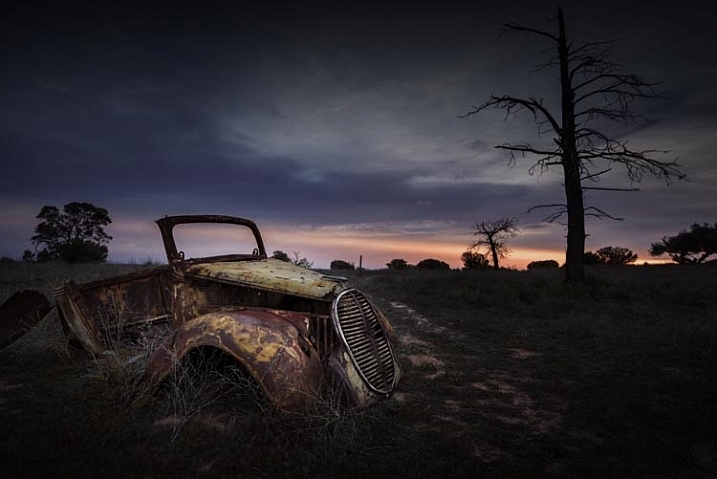 An old car left to rust in the Mallee. One definite advantage you have over visitors to your area, is that you can work out when the best time to photograph that spot. Then, you can go back as many times as you need. If it is very close, you can get up early and see if it is worthwhile going there for a sunrise. Perhaps in the afternoon you can see if there are clouds in the sky, which might make it a good opportunity to get a sunset. You will be able to look out the window and figure out when you want to go. Most people have to hope that the one time they go, the conditions will be perfect for what they want to photograph. You know how often that happens. Getting sunrises is easier when you can wake up and go down the road to capture it. You can try a lot different techniques to take photos. You can go home and see what you have, then go back and experiment with other angles or conditions another time. You can try more experimental types of photography, that other people who only have one opportunity to go there, might not want to try. Every time you go, try to shoot it that spot a different way. 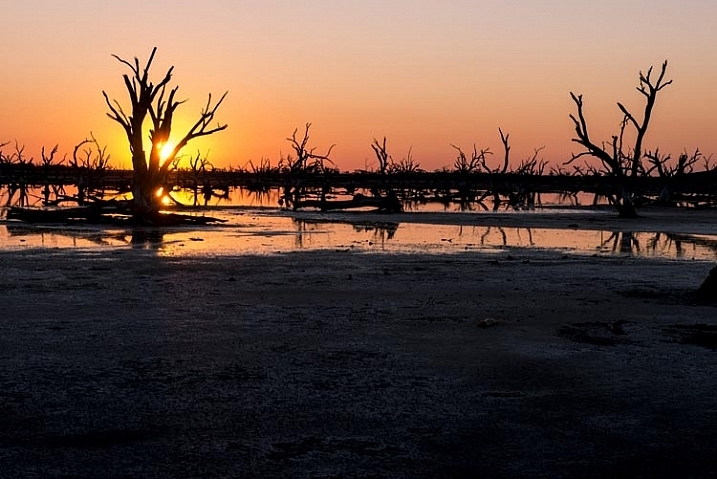 Sunset over a salt pan in the Mallee. Being able to get back to the same spot to get the best photos is a bonus. How often have you gone somewhere, put your photos on the computer when you got home and thought, “I wish I had noticed that tree” or something else on the side of the image? Maybe you wished you could have taken it at a different angle. If you live there, that will never be a problem for you again. You can visit that spot as many times as you like, to get exactly the photos that you want. 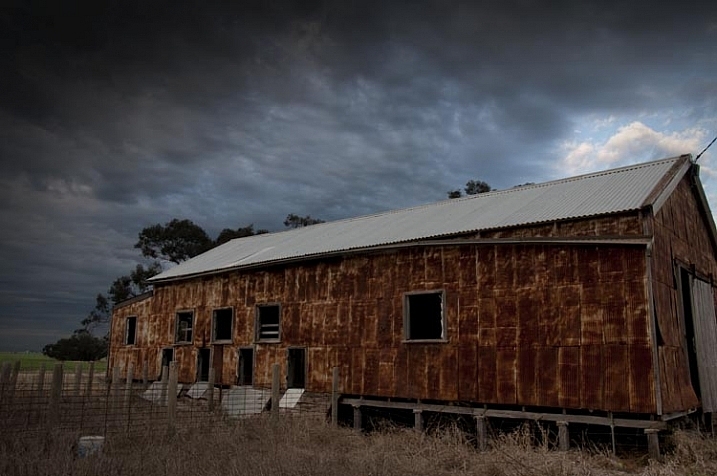 Old towns can have great buildings that have just been left, like an old shearing shed make from kerosene tins. Visiting any places where you might only go once, you have to be content with information from the internet, or with what you see when you get there. However, when you live in an area, you can talk to people you know, who may be able to introduce you to others. If they know you are interested in the local area and taking photos, then you might find people coming to you, to tell you about places that you didn’t know existed. Are there really any disadvantages? Perhaps the fact that you aren’t going anywhere exotic to take photos, unless you already live somewhere like that. 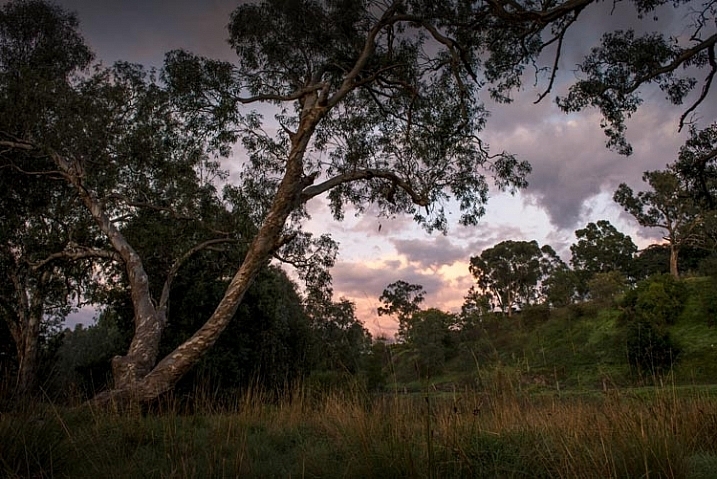 Take a small town in North West Victoria (Australia) where my mother lives. I go up there to visit all the time. According to the locals there is nothing there. But when I drive around, I see shops that are now empty, or a train station that has closed, and stopped being used many years ago. There are things that give hints to a time past, that was industrious. The town had a past where it was bigger, where those stores were open for business. It would be easy to agree with the locals that there is nothing there, but that would be a mistake. The story is there in those closed buildings and what is left of the town. As a photographer you can then show what is happening there. 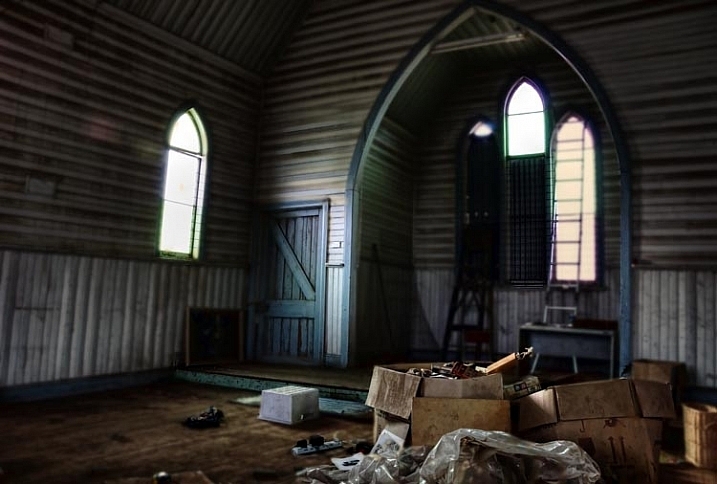 Getting to know locals in towns can give you access to buildings, like this old church in a Mallee town. 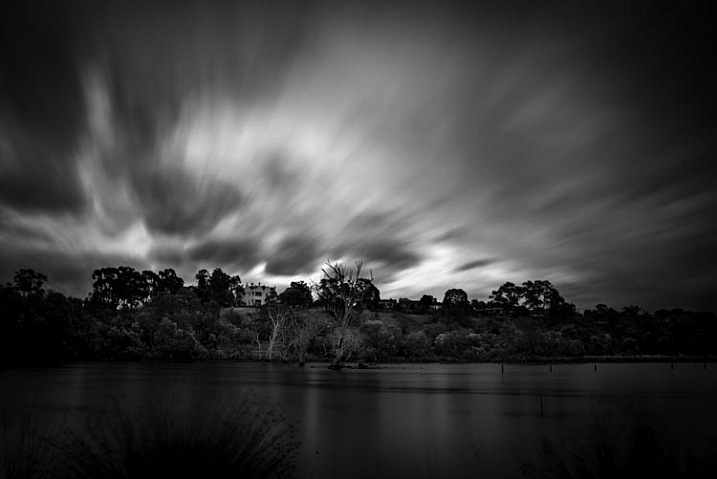 For many years I always travelled to other places, in the city, or in the state of Victoria, to take photos because I was convinced that what was around me was boring. Who would be interested in what’s here? I started to realize that this area has a rich art history. Some famous Australian artists have painted this area, and perhaps that was where I needed to start looking. Once I started looking with different eyes, a lot of new places started to open up to me. This area has some great parks. It is quite old so there are ancient homes, hospitals, cemeteries. Now I photograph it all the time. 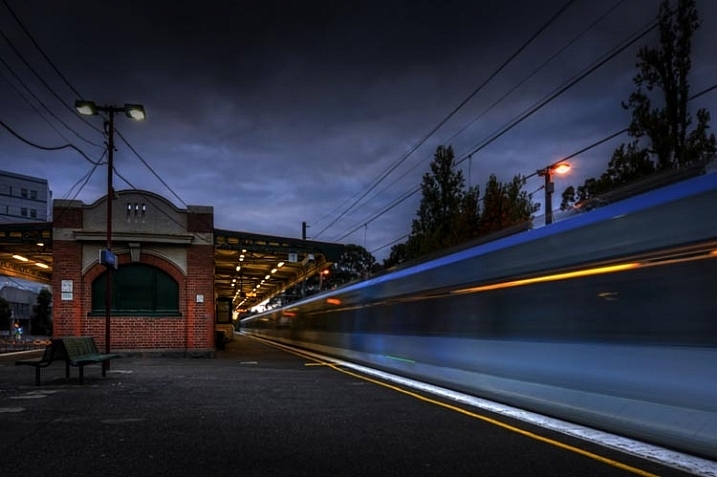 Knowing the local train station and timetable, can be great for getting to the station at a good time to take photos. When you photograph somewhere you live or a place you travel to often, you really get so many wonderful opportunities. Many photographers dream of travelling to other places and photographing the world, but sometimes your best subject is right outside your door or within a stone’s throw of where you live. You just need to get out there and see what you can find. Please share your local photography finds and your images in the comments below. The post How to Find Inspiration Photographing Locations Near Home by Leanne Cole appeared first on Digital Photography School.